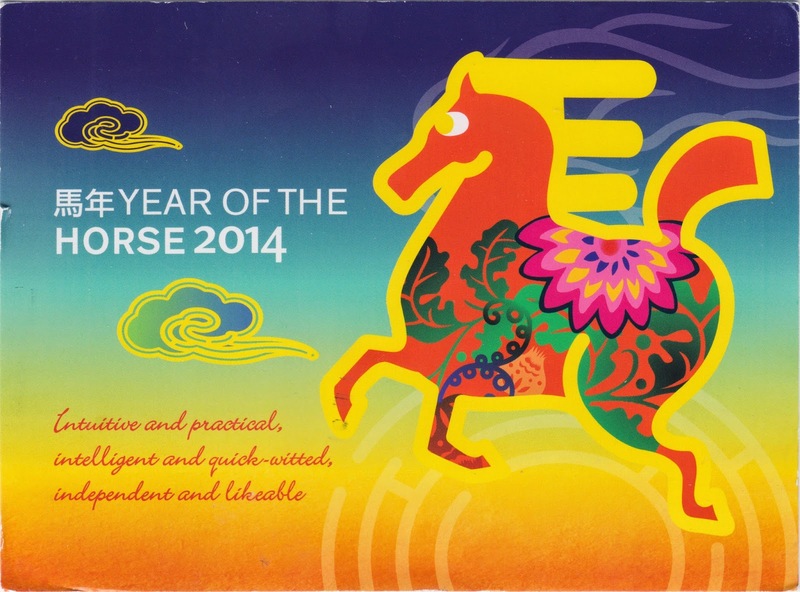 Postcard AU-342883 from Australia commemorates the first-day-of-issue Year of the Horse 2014 stamp by Australian Indian Ocean territory of Christmas Island. The island, named as such because it was discovered on Christmas Day, has a population of 2,072 as of 2011 with 70% Chinese, 20% European/Australian, and 10% Malay. The island's isolated location and minimal human disturbance in history have resulted in a high level of endemism among its flora and fauna where many species are unique. Currently 63% of its 135 square kilometers or 52 square miles total area are protected as an Australian National Park. Primary monsoonal forests are the major eco-systems. The Department of Immigration and Citizenship (DIAC) operates one of the Australian immigration detention facilities on Christmas Island that has attracted a lot of attentions during the on-going refugee and immigration controversies.